This section is based on a “flipped” classroom, a form of blended learning in which students learn content online by reading and watching videos and recorded lectures outside the classroom. Class time is used for group project work, group presentations and exams. Impact of IT on organizational competitiveness and global economies—if machines do everything, what will people do? Dr. Mary C. Lacity is Curators’ Distinguished Professor at the University of Missouri-St. Louis and a Visiting Scholar at MIT CISR. She has held visiting positions at the London School of Economics, Washington University, and Oxford University. She is a Certified Outsourcing Professional ®, Industry Advisor for Symphony Ventures, and Co-editor of the Palgrave Series: Work, Technology, and Globalization. Her research focuses on the delivery of business and IT services through global sourcing and automation. She has conducted case studies and surveys of hundreds of organizations on their outsourcing and management practices. She has given keynote speeches and executive seminars worldwide and has served as an expert witness for the US Congress. She was inducted into the IAOP’s Outsourcing Hall of Fame in 2014, one of only three academics to ever be inducted. She was the recipient of the 2008 Gateway to Innovation Award sponsored by the IT Coalition, Society for Information Management, and St. Louis RCGA. She has published 26 books, most recently Robotic Process Automation and Risk Mitigation: The Definitive Guide (2017) and Service Automation: Robots and the Future of Work (2016)(SB Publishing, UK, co-author Leslie Willcocks). Her publications have appeared in the Harvard Business Review, Sloan Management Review, MIS Quarterly, MIS Quarterly Executive, IEEE Computer, Communications of the ACM, and many other academic and practitioner outlets. I have selected the most pertinent readings for each module, including foundational readings that remain relevant through time and thought-provoking contemporary readings. Readings are posted on MYGATEWAY. You may also download readings from the online libraries available to all UMSL students. We will also read selected chapters from three books. New and used books (kindle, hard copy, soft copy) may be purchased from Amazon. Rogers, E.M. (2006) Diffusion of Innovations, New York, Free Press, fourth or fifth edition. Grading Philosophy. Professors do not “give” grades. Students “earn” grades. I take grading very seriously. I thoughtfully grade each assessment item on the assessment sheets. A sub-culture has emerged among some (certainly not all) graduate students that graduate students are “customers” and that everything they do should be given an A. Such a view dilutes the value of your education. I am morally obligated to clearly define expectations (which I do on a very detailed syllabus), to help you as much as I can before your exams and oral presentations (which I do for each individual and group), and to grade the actual performance using the assessment sheets. Protesting grades on these grounds are not effective: ignorance about when something is due (that never works-read the syllabus for due dates), ignorance of an assessment item (that never works, everything is posted in Mygateway), different perception of performance (as an outside and experienced observer, I am certainly more objective than the student who self-assesses! ), personal problems (must be documented and discussed before an exam or presentation), all the hard work they did (that’s an input, not an output), etc. I must treat and assess each student the same—fairly and consistently. I cannot make exceptions for some students. All that said, I have great empathy for college students, having been one myself for nine years! I care about your learning. I want to see all students earn high grades! The exams cover material from the assigned readings, assigned videos/webinars/Voicethreads, professor’s lectures, and group presentations. The exam study guides posted in Mygateway will guide you as you work your way through the modules. Exams are closed notes, closed books, closed Internet—all you need is your brain. No make-up exams will be given without prior instructor permission or under extreme documentable circumstances. Students will take 3 exams. Exams are NOT cumulative. The instructor will raise the student’s lowest exam score by 10 points. D. Actively participate in your learning—answer the study guide questions as you read and watch assigned materials. E. Start a study group! A study group is an effective and pleasant way to reinforce learning. Students who have earned As on past exams report that they have followed A through D/E and studied for the exam for 5 to 10 hours the week prior to the exam. I suggest you schedule time each week to read assignments and schedule 5 to 10 hours the week prior to the exam for studying. If students have not done A through D, students find it overwhelming to read all the assignments and watch all the videos/webinars in the week prior to the exam. I want you all to succeed! Please follow my advice! Each group will develop power point slides (or Prezi). On the day of your presentation, please provide a STAPLED, hardcopy set of slides for your instructor. Please print only 2 slides per page. Please load your final power point slides in GROUP X Group Pages under FILE EXCHANGE. I am very happy to work with groups on their specific topic. I strongly suggest that I meet with your groups several times. At a MINIMUM, I want to review your power point slides at least a week before your presentation. Individuals in a group never contribute the exact equal amounts of time, content, and value. This often leads to some people feeling they worked more than others, and some people feeling left out. Usually a leader emerges, one who will hopefully help find the gifts of each individual. Unfortunately, I cannot effectively intervene in these matters and I rely on you as adults to ensure that all members of your group meaningfully contribute to the data gathering, interviewing, analysis, slide design, and presenting the final project. All group members will receive the same grade for the oral presentation, provided that all members agree that each individual made a significant contribution. If a group member has not meaningfully or fully participated, I will assume that group member was legitimately distracted by other life issues such as illness or heavy work travel. I do expect that members who do not fully participate show their integrity by willingly reducing their percentage of contribution. It is no shame to not fully participate because of legitimate reasons. It is unethical to ask other group members to falsely report contribution percentages. In order to provide some accountability, albeit imperfect, I will ask that each group fill in the following form and each group member must sign it. This form is due on the day of presentation. Please print, fill in, and have every member sign a copy of: group contribution form . Attendance is required on three exam days, required group project work days, and ALL group project presentations. Attendance will be taken at the start of each scheduled class on REQUIRED attendance days. Students must attend all group presentation or students will be required to write 250 word essays on each missed presentation. The essay questions are: "Why is the topic important to general managers? What are the promised benefits of this topic, the potential pitfalls, and overall lessons you learned from the presentation?" Essays are due May 6 by 8:00 am. If essays are not turned in, the student will receive a delayed grade in the course. If a student misses a class, he or she is responsible for the material covered. Read: Kappelman, L., McLean, E., Johnson, V. and Torres, R. et al. (2017), “The 2016 SIM IT Issues and Trends Study,” MIS Quarterly Executive, 16(1), 47-80. Read: Brynjolfsson, E. and McAfee, A. The Second Machine Age, 2014, Norton, New York .Chapters 1 &2. Andrew McAfee at TED: What will future jobs look like? · How have the bounds of technological capabilities changed from 2009 to 2014? · What will technology’s capabilities likely be in the future? 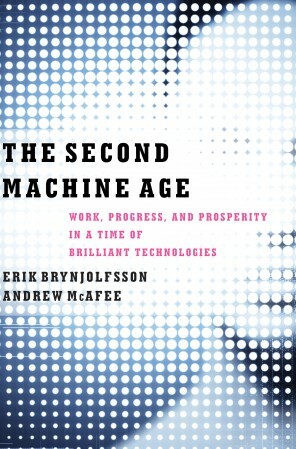 · What does the Second Machine Age imply for the nature of work and global economic prosperity? Read: Rogers, E.M. (2006), Diffusion of Innovations, New York, Free Press, fourth or fifth edition. Read Chapter 1. Read: Christensen, C., Raynor, M., and McDonald, R. (2015), “Disruptive Innovations,” Harvard Business Review, 93(12): 45-53. Read: short except on Project Management from Lacity, M. (editor), (2008), Major Currents in Information Systems: The Management of Information Systems, Volume 4 (series editors: Willcocks, L., and Lee, A. ), Sage, London. Read: Nelson, R., (2007), "IT Project Management: Infamous Failure, Classic Mistakes, and Best Practices," MISQE, Vol. 6, 2, pp. 67-78. Read: Nelson, R. (2014), “IT Project Estimation: Contemporary Practices and Management Guidelines,”MISQE, Vol. 13, 1, pp. 15-30. Read: Lacity, M. and Willcocks, L. (2013), “Sourcing of Information Technology Services,” The Computing Handbook Set, Information Systems and Information Technology (Volume II)(Heikki Topi, ed. ), Article 60. Read: Loebbecke, C., Thomas, B., and Ulrich, T., “Assessing Cloud Readiness at Continental AG,” MIS Quarterly Executive, (11)1: 11-23. Read: Lacity, M., and Reynolds, P. (2014), “Cloud Services Practices for Small and Medium-sized Enterprises,” MIS Quarterly Executive, Vol. 13, 1, pp. 31-44. · What value do clients seek from cloud services? · What practices ensure success? · Is cloud services is becoming the “great equalizer” between large and small-sized firms? Read: Lacity, M. (2017), “The Cogs and Wrenches of Cognitive Automation,” Working paper. Lacity, M., Scheepers, R., Willcocks, L., and Craig, A. (2017), “Reimagining the University at Deakin: An IBM Watson Automation Journey”, The LSE Outsourcing Unit Working Research Paper Series.